The Dhammakaya Foundation is a non-profit organisation based on personal development. The Foundations aims to promote activities for restoration of morality in individual, family, society and the world. While many are searching for peace from without, we believe that world peace MUST begin from each and everyone of us. That’s why we promote the use of meditation in order to help individual cultivate inner peace inside themselves. 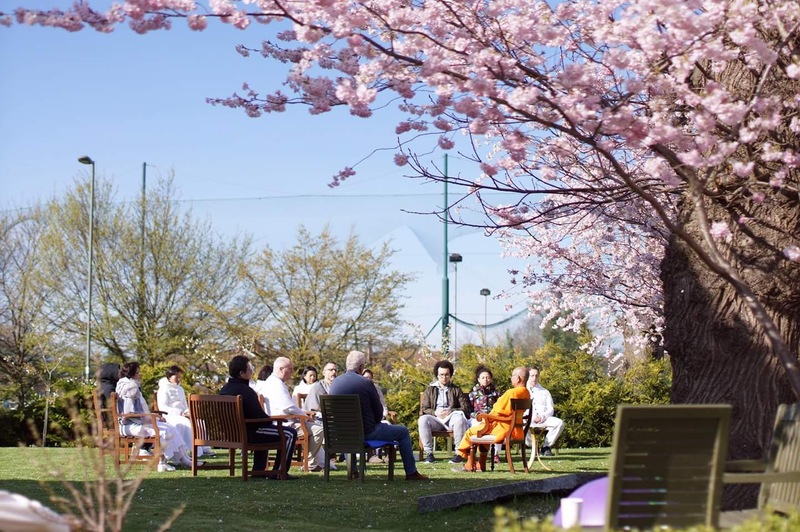 You can join different activities such as free weekly meditation and Dhamma classes, Buddhist ceremonies, meditation retreats and Dhamma studies in Woking, Surrey and our worldwide centers. 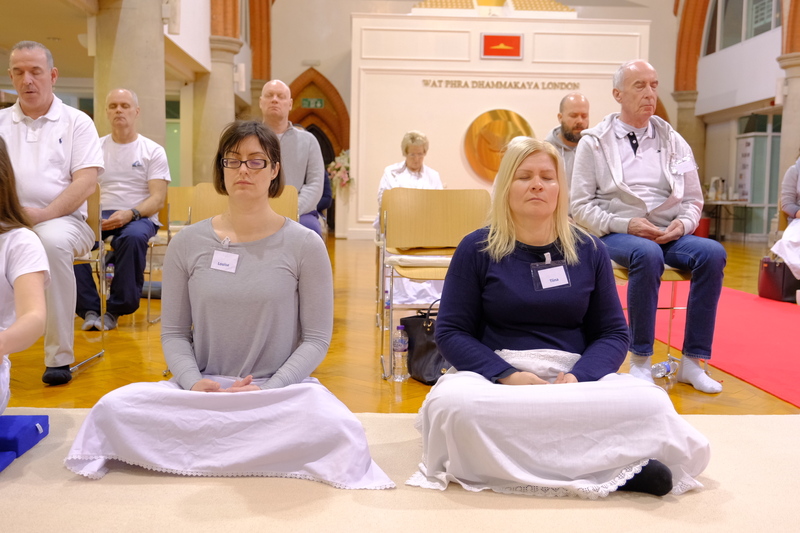 Local community come to the temple learning meditation in the One Day Meditation Workshop Program on Saturday 16th March in Wat Phra Dhammakaya London Buddhist Temple. The temple was very happy to welcome the group that came on that day. The Inner Peace Group set up the day as the pass of the continuing program. ” On Monday19th June. 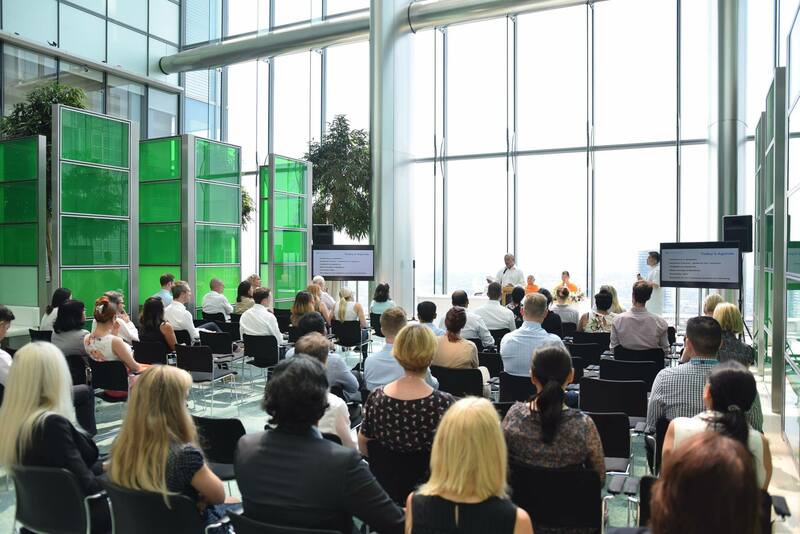 We were delighted to be invited back to Barclays Bank Head Office at Canary Wharf London to guide meditation and give a talk: The Basic concepts of Buddhism by Ven.Prasansamacaro who is one of our well respected experienced senior Monks. With an audience of around 100 members of staff. 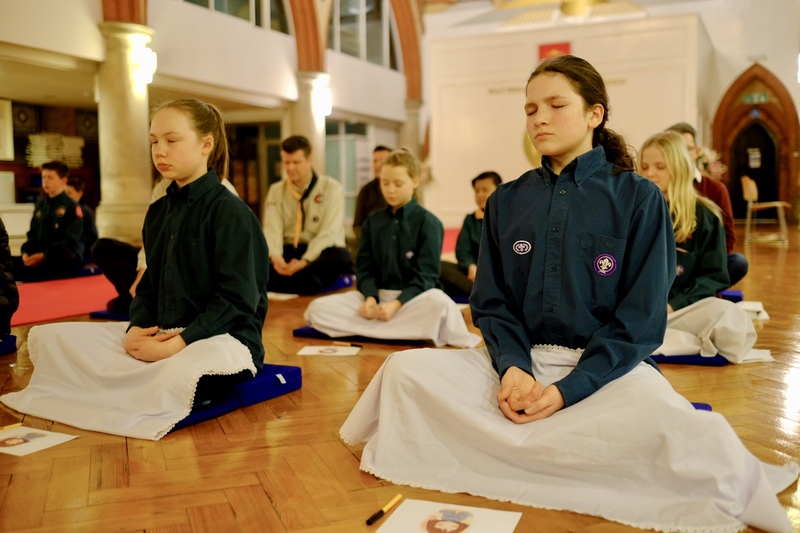 They were pleased to be led and guided to meditate. It was a great success as they learnt about where their home of the mind is. 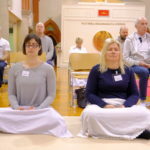 They enjoyed practising meditation as meditation made them feel calm, relaxed and happy. 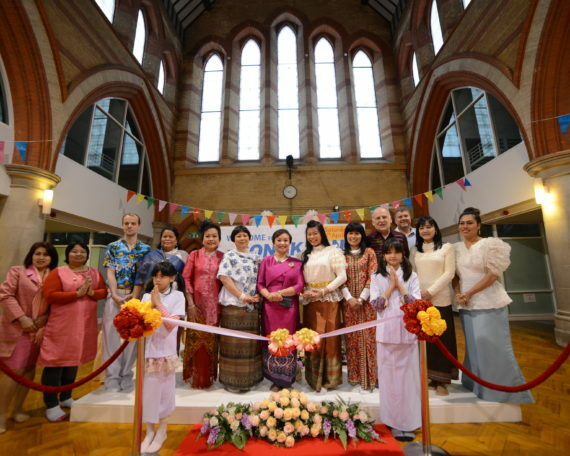 On April 15th 2017, Wat Phra Dhammakaya London, United Kingdom held a Songkran Festival to celebrate Thai New Year. There were many local and Thai people who came to enjoy this event, including many who visit the temple regularly for meditation and other activities. Many came along with their families and children to attend this traditional Thai ceremony. The day’s activities began with a short ceremony of making and sharing merits with our ancestors and our loved ones who have passed away to show our love and remembrance for them. 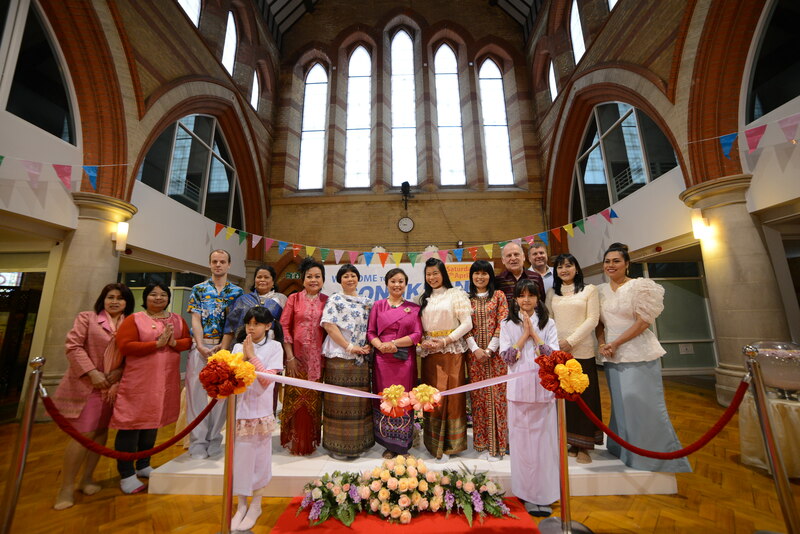 Following this, the Thai New Year festival of 2017 was officially opened by the Mayor of Woking who we were honoured to welcome as our guest. 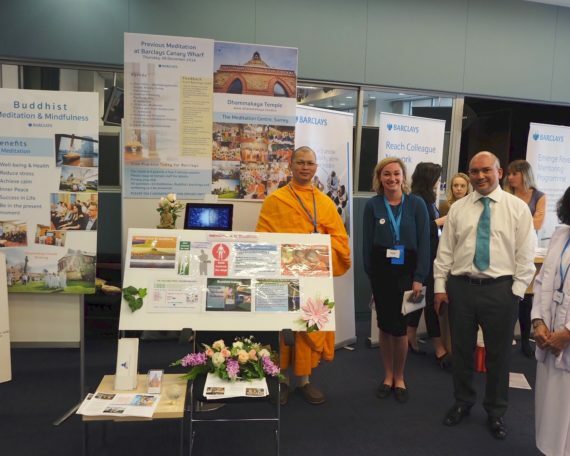 Wat Phra Dhammakaya London held an exhibition about the benefits of meditation at the headquarters of Barclays Bank in London. 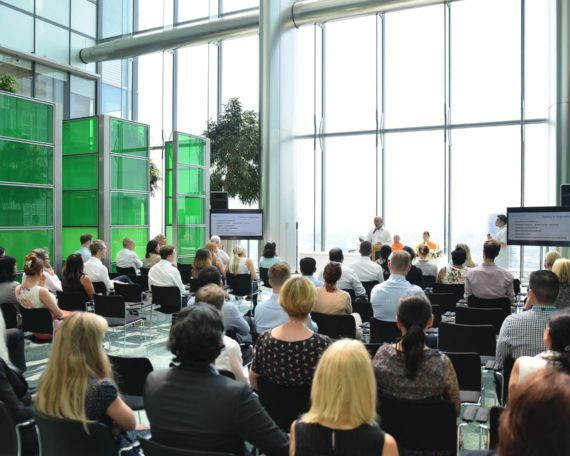 At Barclays Bank headquarters, the company have held a project to develop better mental agility in its staff in order to increase staff happiness and improve work efficiency. On April 13th 2017 at Canary Wharf London, the company gave an opportunity for the staff to attend this exhibition during their break in order to help them develop meditation skills. These skills can help employees in many aspects of their busy lives including stress reduction and sharpening the focus of the mind. There was a total of 300 staff from the bank who attended the exhibition. On this day we also introduced the next meditation project that is arranged to be held here at the Barclays centre in a few months’ time. 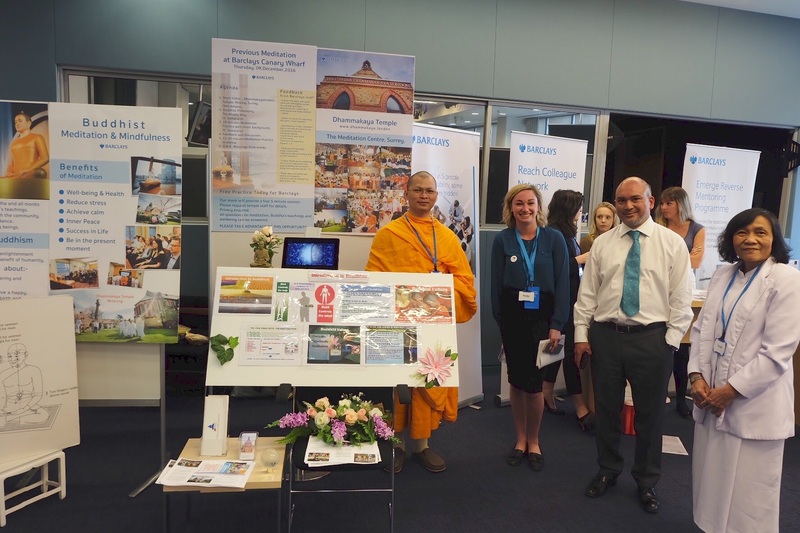 It was also our pleasure to introduce to the Barclays staff our meditation courses which are to be held at the Wat Phra Dhammakaya temple. 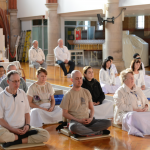 Our visit was very well received and many staff showed much interest in meditation practise. We share our merits to all of you. Dhammakaya London Temple has set up The Inner Peace Weekend Meditation Retreat 15th for 3 days from 24 March 2017 to 26 March 2017. Phra Maha Prasan Samajaro and Pra Arjarn Sander Khemadhammo are the teaching monks, Phra Maha Suriyan Amaro is the consultant, Kruwan Sukchareon is the coordinator with Thai and local volunteers. During the three days, the participants have the opportunity to learn the benefits of meditation and buddhist principles which can used in their normal life. They also have a great opportunity, to do a lot of meditation. Therefore, they gain a very good experience and find inner peace. 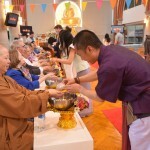 They are encouraged to return and invite others to come and join the next retreat at Dhammakaya London Temple as well. We would like to share our merits to all of you around the world. 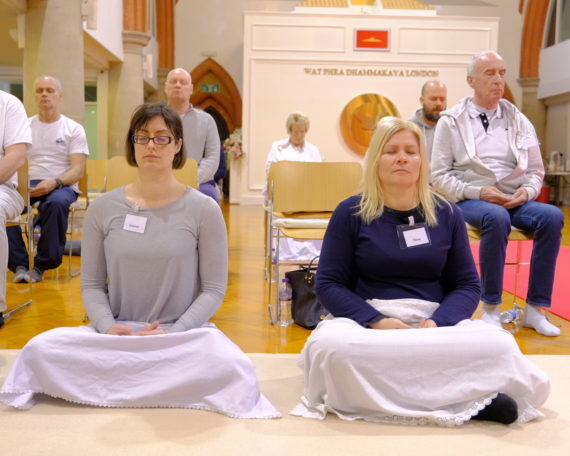 At Wat Phra Dhammakaya London, we hold a meditation class every Tuesday for local people. On January the 31st, there were 14 local residents who came to join us for the class. On this day the teaching monk gave the class an introduction to a meditation technique which can be used to clear and purify the mind to be more like a child’s, to help us focus more. It has been noted that children can often find meditation easier than adults as their minds are less cluttered with stress and worries. 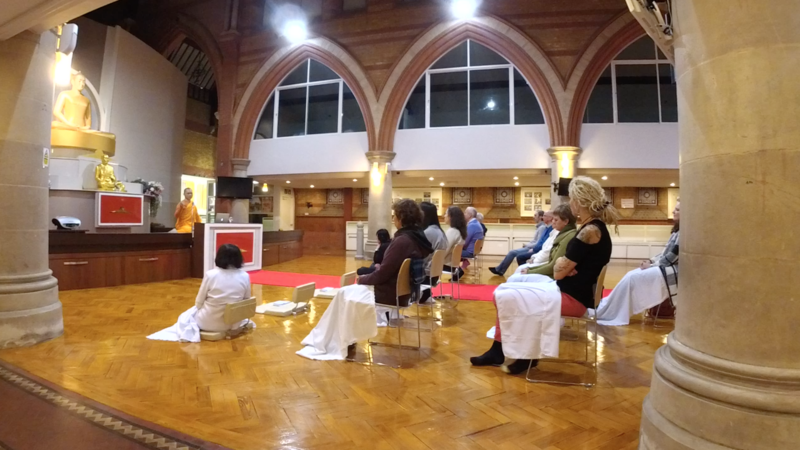 During the meditation session, the monk guided the lesson by showing people how to keep the image of our mind still at the centre of the body, in the middle of the abdomen. This location is the seventh component and the centre of gravity which is one of the seven bases of the mind. 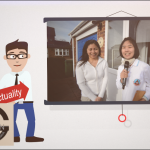 On the morning of January the 30th 2017, a group of students and primary teachers travelled to the Dhammakaya Temple Woking in order to study of basics of Buddhism. This was a school curriculum outing that gives an opportunity for the students to learn about different beliefs around the world including the Buddhist religion. On Wednesday January 25th 2017, Wat Phra Dhammakaya London welcomed a group of 22 scouts from Old Woking Clubs and 6 supervisors to the temple. They came to study Buddhism and exchanged their culture and experiences. 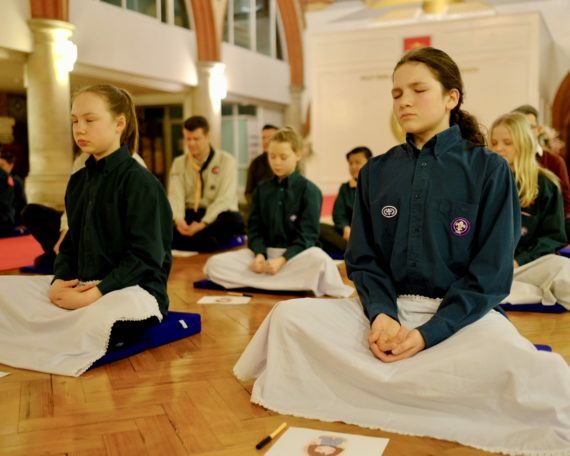 The monks and members of temple staff welcomed them and held a group lesson which introduced the scouts to the basics of the Buddhist religion. We began talking about the history of the temple and then proceeded to teach the group a basic introduction to meditation. The scouts really enjoyed the lesson and some of them even had an inner experience of seeing a bright crystal ball. After that we showed the scout group around the different areas of the temple and introduced them to the display representing Buddhism. Also we taught them about the significance of giving to others by performing a Buddhist Alms-Giving ceremony to the monks.